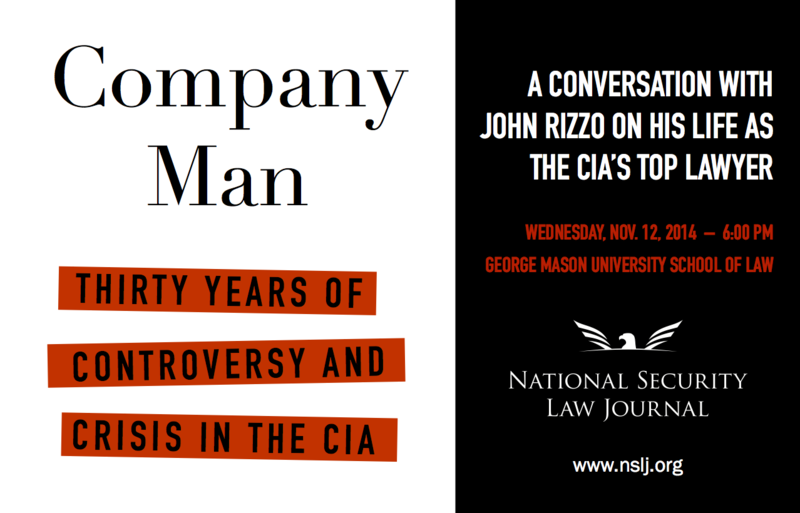 On Wednesday, November 12, 2014, John Rizzo joined the National Security Law Journal for a conversation about his career as a lawyer with the CIA. 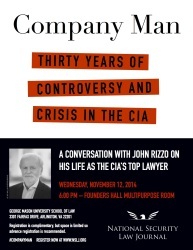 Rizzo’s thirty-four-year career with the Agency culminated with seven years as the chief legal officer. The conversation was moderated by Pulitzer Prize-winning journalist Matt Apuzzo. 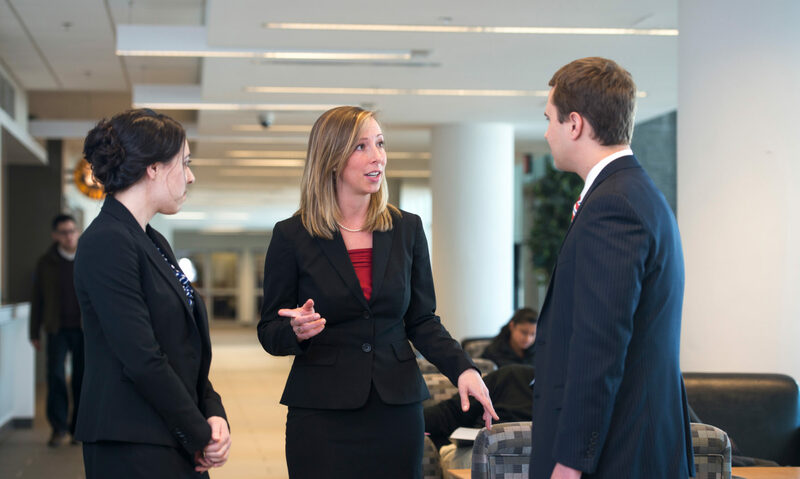 The event was held from 6:00 to 8:00 p.m. in the multipurpose room of Founders Hall on the Arlington Campus of George Mason University.